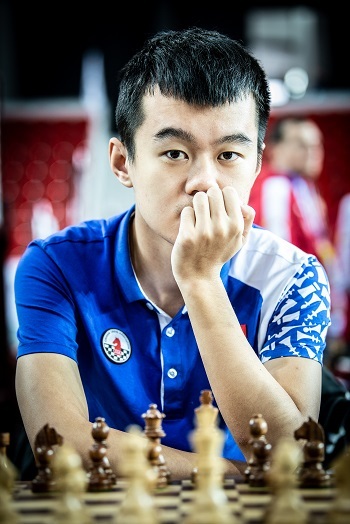 FIDE publishes March 2019 FIDE Rating List. The list of top players is published at Top lists page of FIDE ratings website. All players can check new ratings at the main page of FIDE ratings website. The World Team Championship is starting in about a week in Kazakhstan’s capital Astana. Ten of the strongest nations will compete in the brand new International Financial Centre from March 5 – 14. 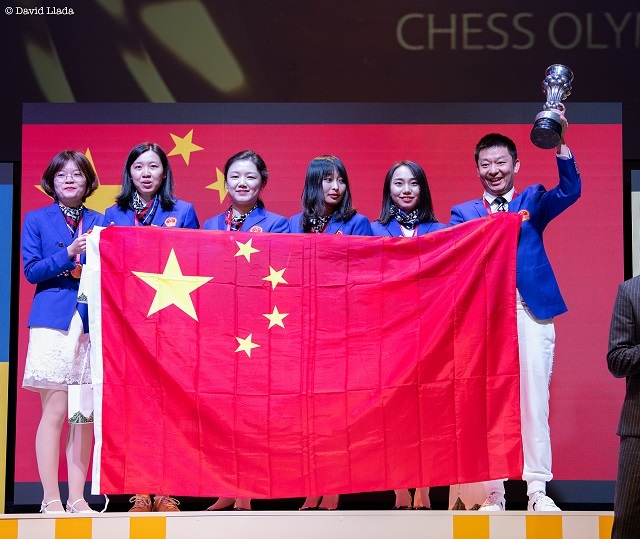 The fight for gold in the open section will probably feature a duel between Russia and title-holder China. In the absence of some of their top players, Azerbaijan, India and the United States will hope for an exploit to make it on the podium. Speaking of some feat, specialists have high expectations of the young Iranian team, which will make its first appearance in this competition. In the women’s section, the outcome is unpredictable, as half of the teams can logically aim for top places. The historic battle between title-holder Russia and 2018 Olympic champion China will be troubled by ambitious teams like the Ukraine, India or Georgia. 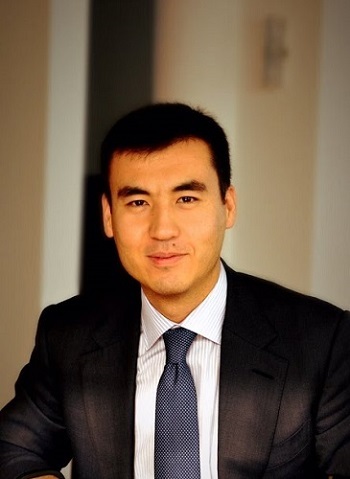 Galimzhan Yessenov, President of the Kazakhstan Chess Federation, “We are on the eve of one of the most prestigious chess events in 2019. As witnesses the level of the participating teams, all matches promise to be intense and hard-fought. The heat of the battle will raise to its highest point. Therefore, the outcome of both competitions will clearly reveal which are the strongest teams. I wish to all players good games and lots of success”. The venue is the AIFC – Astana International Financial Centre, which has been inaugurated in July 2018. Address: Astana, 55/17 Mangilik El Avenue, Pavillon C-3.3. 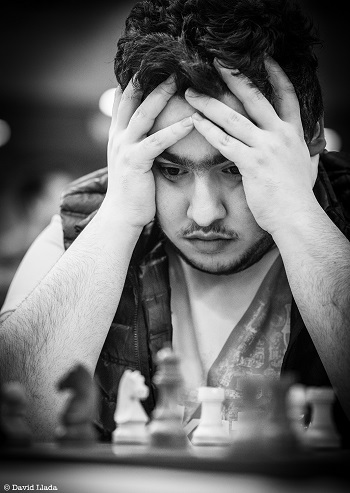 A various and extensive program of side events has been implemented by the Kazakhstan Chess Federation. It will include rapid and blitz tournaments for adults and children, simultaneous display, a solving contest, exhibitions, and presentations. The Paris 2024 organizers have chosen not to include chess in the program of the Summer Olympic Games, nominating four other sports instead. The IOC will consider this proposal during the next meeting of its executive board at the end of March. A final decision will be taken by December 2020. FIDE accepts the decision of the Paris 2024 organizing committee and will continue to aim at reaching full recognition of chess in all countries. An important step consists now in achieving the involvement of our sport in youth and continental games. FIDE was founded in Paris in the summer of 1924. President Arkady Dvorkovich stresses that the 100th anniversary will be duly celebrated in the French capital anyway. FIDE President Arkady Dvorkovich had a meeting with the representatives of the United States Chess Federation in Washington on February 20. During the meeting they discussed the development of chess both in the US and in the world. “The USCF is a very active federation, it pays much attention to young players and it was very interesting to work with colleagues. There are many strong American chess players, who are fighting for the chess crown in the strongest chess tournaments. Fabiano Caruana lost to Magnus Carlsen in the World Championship Match, but nevertheless there is a whole generation of chess players who are now involved in this fight”, commented Arkady Dvorkovich. 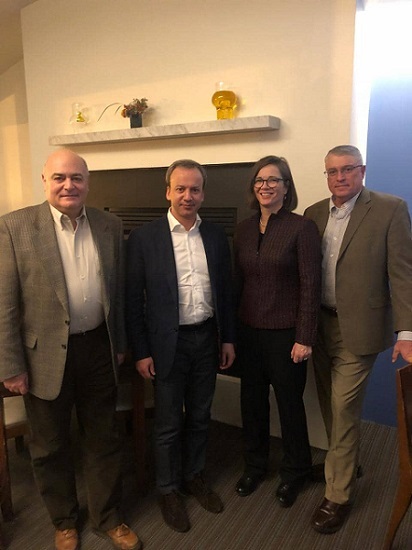 FIDE Vice President, the President of Kasparov Chess Foundation Michael Khodarkovsky, FIDE President Arkady Dvorkovich, USCF Executive Director, member of FIDE Women`s Commission Carol Meyer, former USCF President and member of FIDE Rules Commission Mike Hoffpauir. 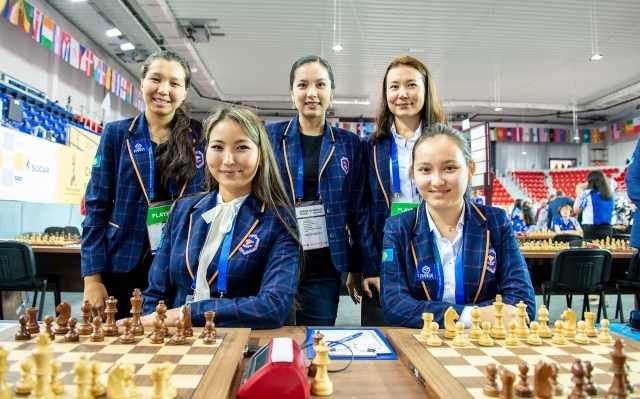 FIDE publishes the team compositions for the 2019 World Team Championships, which will be held in Astana, Kazakhstan, from the 4th of March (arrival) till the 15th of March (departure) 2019. FIDE President Arkady Dvorkovich told TASS what they discussed with the FIFA President Gianni Infantino at their meeting in Zurich on January 24th. First of all, we discussed the FIFA support aimed at the growth of the professional level of our employees in the spheres where FIDE has been weaker than FIFA during the last couple of years: marketing, finances and corporate management. We have a new team and FIFA has kindly agreed to assist us to upscale the professional level and staff qualifications, to organize workshops which will enable FIDE to improve the quality of the services provided. Second direction is the work with Academies in various countries. We have agreed that the countries with an established level of competence and opportunities should become centers of our cooperation, where chess would be included in the programme of the football academies so that young football players could benefit from chess to increase their level, technical thinking and analytical skills. Chess players nowadays should keep themselves very fit, in order to stay on top. We also discussed digital technologies as FIFA has recently created a digital transformation department and as FIDE has a similar structure, therefore we have agreed to create digital platforms. If the players occupying top positions in these events will qualify anyways (by average rating or other criteria as per regulations), the spot(s) will go to the next placed participant(s) in the respective Continental Championship. In addition, FIDE President gets the right to nominate 3 (three) players. FIDE looks forward to an exceptional event in cooperation with chess.com and Isle of Man organizers. 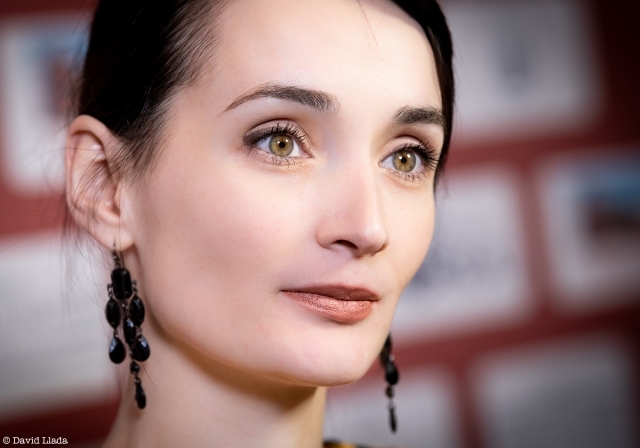 You are currently browsing the Chess blog archives for February, 2019.